TALLAHASSEE, Fla. (AP) - Republican Gov. 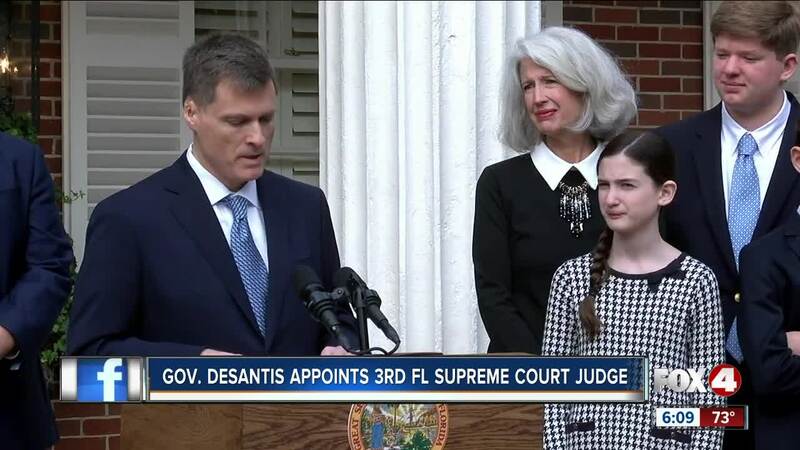 Ron DeSantis has chosen a top official in the administration of President Donald Trump for a seat on the Florida Supreme Court. DeSantis announced Tuesday that he's chosen Carlos Muniz for the high court. Muniz has been working as general counsel for the U.S. Department of Education, which is led by Education Secretary Betsy DeVos. Muniz has never served as a judge, but worked as a top attorney for former Florida Gov. Jeb Bush and was chief of staff for former Attorney General Pam Bondi. Muniz attended the University of Virginia as an undergraduate and got his law degree in 1997 from Yale University. DeSantis has now filled three openings on the Supreme Court due to mandatory retirements. He replaced three judges who frequently ruled against the GOP-controlled state government.